Justin Timberlake (resimde) The 20/20 Experience ve The 20/20 Experience – 2 of 2 albümleriyle sırasıyla ikinci ve üçüncü zirvesini yaşadı.The 20/20 Experience yılın en çok satan albümü oldu. ^ Caulfield, Keith (2012-12-26). "T.I. 's 'Trouble Man' Debuts at No. 2 on Billboard 200, Taylor Swift Still Rules". Billboard. Prometheus Global Media. Erişim tarihi: 2012-12-26. ^ Caulfield, Keith (2013-01-03). "Taylor Swift's 'Red,' 'Les Mis' Soundtrack Lead Billboard 200 Chart". Billboard. Prometheus Global Media. Erişim tarihi: 2013-01-03. ^ Caulfield, Keith (2013-01-09). "'Les Miserables' Soundtrack Hits No. 1 on Billboard 200 Chart". Billboard. Prometheus Global Media. Erişim tarihi: 2013-01-09. ^ Caulfield, Keith (2013-01-16). "Chris Tomlin Scores First No. 1 Album on Billboard 200 Chart". Billboard. Prometheus Global Media. Erişim tarihi: 2013-01-16. ^ Caulfield, Keith (2013-01-23). "A$AP Rocky Debuts at No. 1 on Billboard 200 Albums Chart". Billboard. Prometheus Global Media. Erişim tarihi: 2013-01-23. ^ Caulfield, Keith (2013-01-30). "Gary Allan Earns First No. 1 Album on Billboard 200". Billboard. Prometheus Global Media. Erişim tarihi: 2013-01-30. ^ Caulfield, Keith (2013-02-06). "Justin Bieber Scores Fifth No. 1 Album on Billboard 200 Chart". Billboard. Prometheus Global Media. Erişim tarihi: 2013-02-06. ^ Caulfield, Keith (2013-02-13). "Josh Groban Earns Third No. 1 Album on Billboard 200 Chart". Billboard. Prometheus Global Media. Erişim tarihi: 2013-02-13. ^ Caulfield, Keith (2013-02-20). "Mumford & Sons Make Grammy-Fueled Return to No. 1 on Billboard 200". Billboard. Prometheus Global Media. Erişim tarihi: 2013-02-20. ^ Caulfield, Keith (2013-02-27). "Mumford & Sons' 'Babel' No. 1 for Fifth Week on Billboard 200 Chart". Billboard. Prometheus Global Media. Erişim tarihi: 2013-02-27. ^ Caulfield, Keith (2013-03-06). "Bruno Mars Scores First No. 1 Album on Billboard 200 Chart". Billboard. Prometheus Global Media. Erişim tarihi: 2013-03-06. ^ Caulfield, Keith (2013-03-13). "Luke Bryan Scores First No. 1 Album on Billboard 200 Chart". Billboard. Prometheus Global Media. Erişim tarihi: 2013-03-13. ^ Caulfield, Keith (2013-03-20). "Bon Jovi Debuts at No. 1 on Billboard 200, David Bowie at No. 2". Billboard. Prometheus Global Media. Erişim tarihi: 2013-03-20. ^ Caulfield, Keith (2013-03-20). "Bon Jovi, David Bowie Lead Six Top 10 Debuts on Billboard 200". Billboard. Prometheus Global Media. Erişim tarihi: 2013-03-20. ^ Caulfield, Keith (2013-03-26). 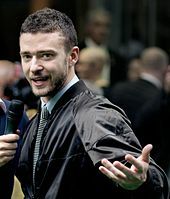 "Official: Justin Timberlake's '20/20 Experience' Sells 968,000, Debuts at No. 1 on..." Billboard. Prometheus Global Media. Erişim tarihi: 2013-03-27. ^ Caulfield, Keith (2013-03-26). "Justin Timberlake Starts Atop Billboard 200, Earns Third-Largest Digital Week Ever". Billboard. Prometheus Global Media. Erişim tarihi: 2013-03-27. ^ Caulfield, Keith (2013-04-03). "Justin Timberlake's '20/20' Spends Second Week at No. 1 on Billboard 200". Billboard. Prometheus Global Media. Erişim tarihi: 2013-04-03. ^ Caulfield, Keith (2013-04-10). "Justin Timberlake Earns Third Week at No. 1, Band Perry Debuts at No. 2". Billboard. Prometheus Global Media. Erişim tarihi: 2013-04-10. ^ Caulfield, Keith (2013-04-16). "Paramore Earn First No. 1 Album On Billboard 200". Billboard. Prometheus Global Media. Erişim tarihi: 2013-04-16. ^ Caulfield, Keith (2013-04-24). "Fall Out Boy Tops Kid Cudi on Billboard 200 Chart". Billboard. Prometheus Global Media. Erişim tarihi: 2013-04-24. ^ Caulfield, Keith (2013-05-01). "Michael Buble Scores Fourth No. 1 Album on Billboard 200 Chart". Billboard. Prometheus Global Media. Erişim tarihi: 2013-05-01. ^ Caulfield, Keith (2013-05-08). "Kenny Chesney Logs Lucky Seventh No. 1 Album on Billboard 200". Billboard. Prometheus Global Media. Erişim tarihi: 2013-05-08. ^ Caulfield, Keith (2013-05-15). "Lady Antebellum Scores Third No. 1 Album, 'Gatsby' Debuts Strong at No. 2". Billboard. Prometheus Global Media. Erişim tarihi: 2013-05-15. ^ Caulfield, Keith (2013-05-22). "Vampire Weekend Debuts At No. 1 On Billboard 200". Billboard. Prometheus Global Media. Erişim tarihi: 2013-05-22. ^ Caulfield, Keith (2013-05-28). "Official: Daft Punk's 'Random' Debuts at No. 1 on Billboard 200 With 339,000". Billboard. Prometheus Global Media. Erişim tarihi: 2013-05-28. ^ Caulfield, Keith (2013-06-05). "Daft Punk Scores Second Week at No. 1 on Billboard 200 Chart". Billboard. Prometheus Global Media. Erişim tarihi: 2013-06-05. ^ Caulfield, Keith (2013-06-12). "Queens of the Stone Age Get First No. 1 Album on Billboard 200 Chart". Billboard. Prometheus Global Media. Erişim tarihi: 2013-06-12. ^ Caulfield, Keith (2013-06-19). "Black Sabbath Earns First No. 1 Album on Billboard 200 Chart". Billboard. Prometheus Global Media. Erişim tarihi: 2013-06-19. ^ Caulfield, Keith (2013-06-26). "Official: Kanye West's 'Yeezus' Sells 327,000; Debuts at No. 1 on Billboard 200 Chart". Billboard. Prometheus Global Media. Erişim tarihi: 2013-06-26. ^ Caulfield, Keith (2013-07-03). "Wale Scores First No. 1 Album on Billboard 200 Chart". Billboard. Prometheus Global Media. Erişim tarihi: 2013-07-03. ^ Caulfield, Keith (2013-07-10). "J. Cole's 'Born Sinner' Jumps to No. 1 on Billboard 200 Chart". Billboard. Prometheus Global Media. Erişim tarihi: 2013-07-10. ^ Caulfield, Keith (2013-07-17). "Jay-Z's 'Magna Carta' Debuts at No. 1 on Billboard 200 Chart". Billboard. Prometheus Global Media. Erişim tarihi: 2013-07-17. ^ Caulfield, Keith (2013-07-24). "Jay Z Stays Atop Billboard 200, Sara Bareilles Debuts at No. 2". Billboard. Prometheus Global Media. Erişim tarihi: 2013-07-24. ^ Caulfield, Keith (2013-07-31). "Selena Gomez Earns First No. 1 On Billboard 200". Billboard. Prometheus Global Media. Erişim tarihi: 2013-07-31. ^ Caulfield, Keith (2013-08-07). "Robin Thicke Gets First No. 1 Album On Billboard 200". Billboard. Prometheus Global Media. Erişim tarihi: 2013-08-07. ^ Caulfield, Keith (2013-08-14). "The Civil Wars Debut at No. 1 on Billboard 200 Albums Chart". Billboard. Prometheus Global Media. Erişim tarihi: 2013-08-14. ^ Caulfield, Keith (2013-08-21). "Luke Bryan's 'Crash My Party' Debuts at No. 1 on Billboard 200". Billboard. Prometheus Global Media. Erişim tarihi: 2013-08-21. ^ Caulfield, Keith (2013-08-28). "Luke Bryan Nets Second Week Atop Billboard 200, John Mayer Debuts at No. 2". Billboard. Prometheus Global Media. Erişim tarihi: 2013-08-28. ^ Caulfield, Keith (2013-09-04). "Avenged Sevenfold Earns Second No. 1 Album On Billboard 200". Billboard. Prometheus Global Media. Erişim tarihi: 2013-09-04. ^ Caulfield, Keith (2013-09-11). "Ariana Grande Debuts At No. 1 On Billboard 200". Billboard. Prometheus Global Media. Erişim tarihi: 2013-09-11. ^ Caulfield, Keith (2013-09-18). "Keith Urban Edges the Weeknd for No. 1 Debut on Billboard 200". Billboard. Prometheus Global Media. Erişim tarihi: 2013-09-18. ^ Caulfield, Keith (2013-09-25). "Jack Johnson Scores Fourth No. 1 Album on Billboard 200". Billboard. Prometheus Global Media. Erişim tarihi: 2013-09-25. ^ Caulfield, Keith (2013-10-02). "Drake's 'Nothing Was the Same' Debuts at No. 1 on Billboard 200". Billboard. Prometheus Global Media. Erişim tarihi: 2013-10-02. ^ Caulfield, Keith (2013-10-09). "Justin Timberlake Scores His Second No. 1 Album Of 2013". Billboard. Prometheus Global Media. Erişim tarihi: 2013-10-09. ^ Caulfield, Keith (2013-10-16). "Miley Cyrus' 'Bangerz' Debuts At No. 1 On Billboard 200". Billboard. Prometheus Global Media. Erişim tarihi: 2013-10-16. ^ Caulfield, Keith (2013-10-23). "Pearl Jam Earns Fifth No. 1 Album On Billboard 200". Billboard. Prometheus Global Media. Erişim tarihi: 2013-10-23. ^ Caulfield, Keith (2013-10-30). "Katy Perry's 'PRISM' Shines At No. 1 On Billboard 200". Billboard. Prometheus Global Media. Erişim tarihi: 2013-10-30. ^ Caulfield, Keith (2013-11-06). "Arcade Fire's 'Reflektor' Debuts At No. 1 On Billboard 200". Billboard. Prometheus Global Media. Erişim tarihi: 2013-11-06. ^ Caulfield, Keith (2013-11-13). "Eminem's 'Marshall Mathers LP 2' Scores Second-Biggest Debut of Year". Billboard. Prometheus Global Media. Erişim tarihi: 2013-11-13. ^ Caulfield, Keith (2013-11-20). "Lady Gaga Scores Second No. 1 Album With 'ARTPOP'". Billboard. Prometheus Global Media. Erişim tarihi: 2013-11-20. ^ Caulfield, Keith (2013-11-27). "Eminem's Back at No. 1 with 'Marshall Mathers LP 2'". Billboard. Prometheus Global Media. Erişim tarihi: 2013-11-27. ^ Caulfield, Keith (2013-12-04). "One Direction Scores Historic Third No. 1 Album on Billboard 200 Chart". Billboard. Prometheus Global Media. Erişim tarihi: 2013-12-04. ^ Caulfield, Keith (2013-12-11). "Garth Brooks Earns Ninth No. 1 Album, Britney Spears Debuts At No. 4". Billboard. Prometheus Global Media. Erişim tarihi: 2013-12-11. ^ Caulfield, Keith (2013-12-18). "It's Official: Beyonce Makes History With Fifth No. 1 Album". Billboard. Prometheus Global Media. Erişim tarihi: 2013-12-18.